Let’s start this off right.. with a BIG ANNOUNCEMENT! 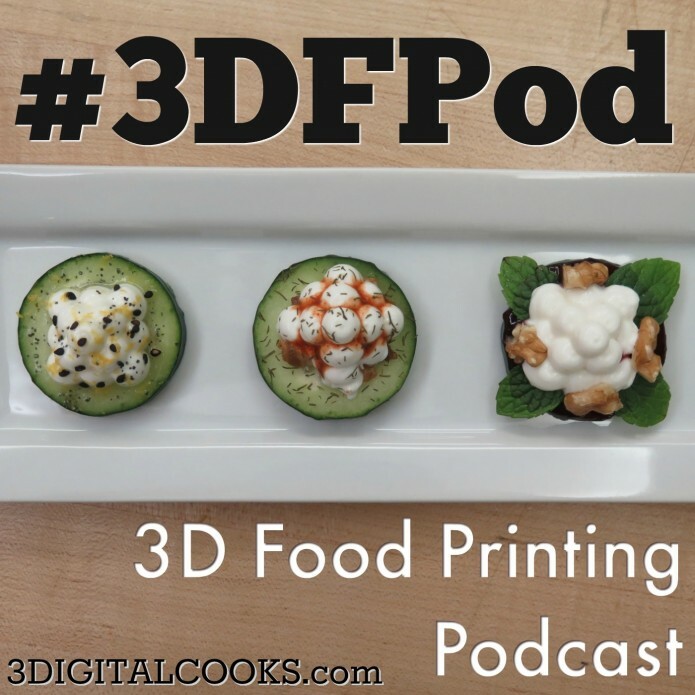 I’ll (Jason – @BotBQ) be at the 3D Food Printing Conference next week.. unfortunately Luis (@3DIGITALCOOKS) won’t be 🙁 … AND we made a #3DFPod chapter about it where we briefly go over last year’s 3DFPconf, what we’re looking forward to this year and some of the exciting things you’ll run into if you’re going to the 3DFPconf this year. Hope to see some of your there! We must apologize about the quality on this one.. not the best.. no excuses! We owe it to you and everyone listening to do a better job at it. Now that Luis is settled in BK and I’ll be settled into our new place soon this shouldn’t be an issue much longer. Thank you VERY much for your feedback, it means a lot, and keep letting us know how we’re doing.